Ready for a fun brain challenge? 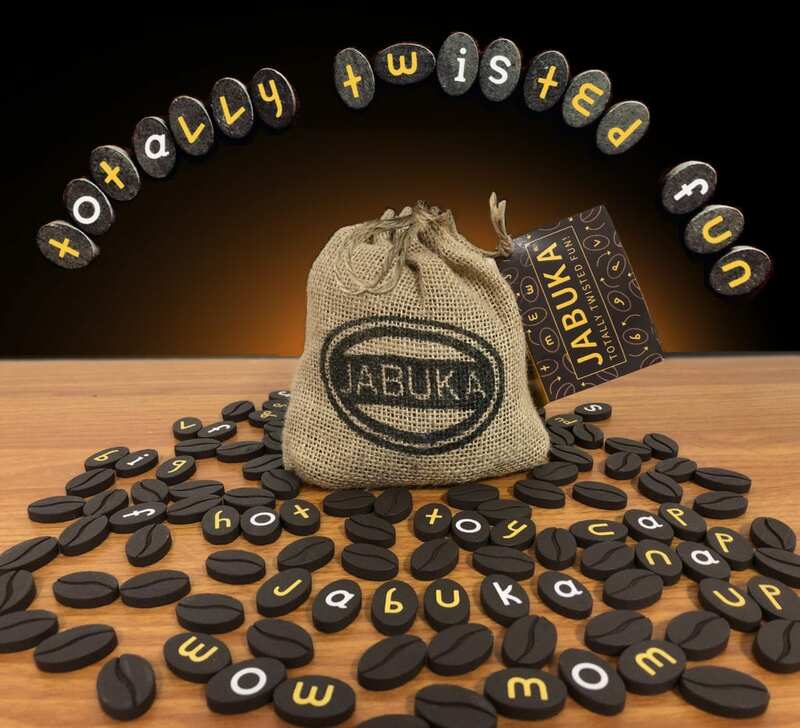 Jabuka will have you quickly twisting letters and transforming words in this clever and fast-paced word game. The playing pieces are shaped like coffee beans and packaged in a mini jute sack — perfect for on-the-go fun, especially when traveling. Players race to make and take words from each other using Jabuka’s unique, patented, magically morphing, twisting letter alphabet. Words may be taken from opponents by either adding, re-arranging or TWISTING letters, transforming one word into another. For example: The word “cap” becomes “nap ” when the letter “c” is twisted to become an “n.” Jabuka teaches players to see possibilities where they thought none existed. Promotes creativity, problem solving, spatial cognition, memory and speed.